A renal angiomyolipoma (AML) is the most common tumor of the kidney and is four times more common in women than men. The AML is a benign tumor and is typically greater than 4 cm before symptoms occur. Symptoms can include but are not limited to: lower back pain, anaemia, and haematuria. When these tumors are greater than 4 cm there is a high risk of spontaneous life-threatening hemorrhage. 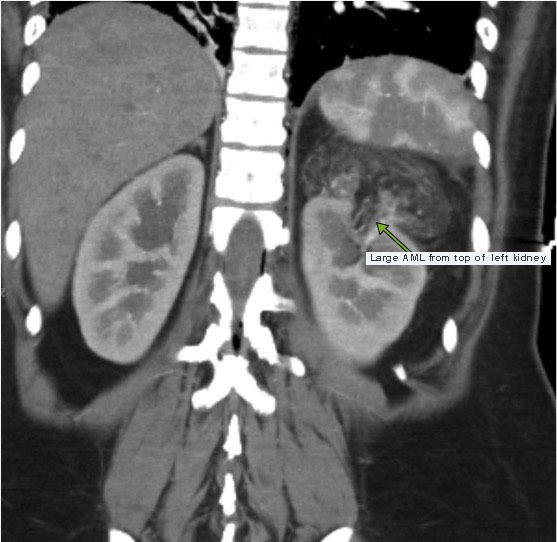 This CT scan shows a large (8 cm) angiomyolipoma at the top of this patient’s left kidney. 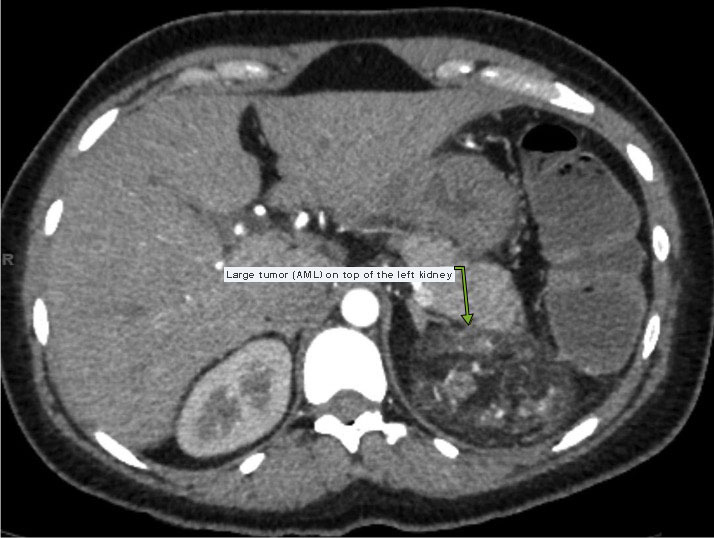 Another image from the same CT showing the AML at the top of the left kidney. 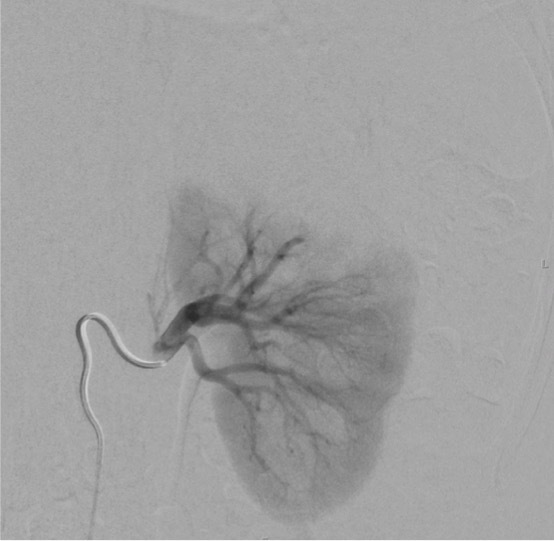 The AML was highly vascular as shown on this abdominal aortogram. Our interventional radiology team performed an embolization procedure to cut off the blood flow to the AML. 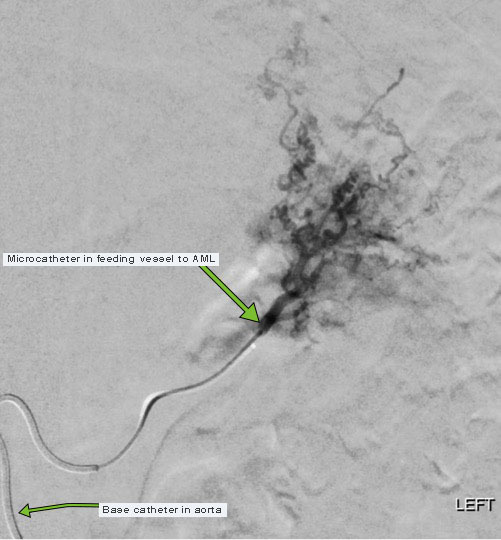 In this procedure the radiologist inserts a catheter into the aorta and then microcatheters thru the catheter into the tiny vessels feeding the tumor as seen on the image below. Tiny particles are injected via the microcatheters into the vessel to embolize the tumor (tumor embolization). 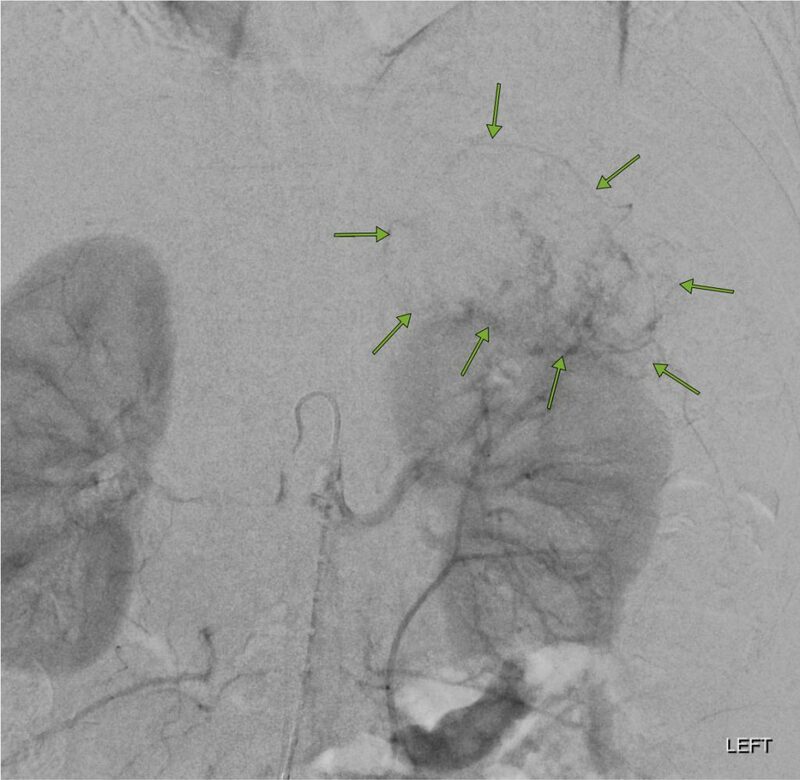 The left renal angiogram below demonstrates that the blood flow to the AML has been cut off resulting in a successful embolization.